Let's continue the wireless network setup now that you know the basics of wireless networking. This article is mainly used to help you plan your wireless setup efficiently. 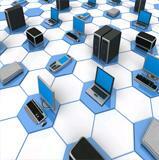 The most important device on your home or business network is the wireless router. 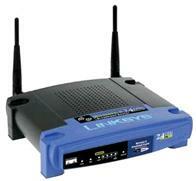 In this setup we will use a Linksys wireless router. The setup is similar for any router you use. You can also configure a wireless router to act as an access point. This is helpful when you already have a wired home network and want to add the wireless capability. The wireless router brings a 4 port built-in switch, so this means that you can get rid of the wired router and replace it with the wireless router. Note: You will still continue to use the DSL or Cable modem to establish the Internet connection. The following picture shows how I replaced the "Wired Router" with a "Wireless Router"
Just make sure that the Cable/DSL modem is configured to "Bridge Mode" in order for the wireless network setup to work. If you are using DSL Internet service then a PPPoE connection must be established. 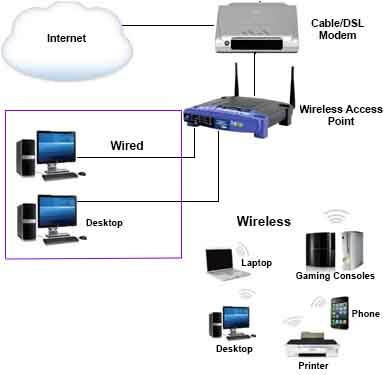 With most devices having the capability to connect to a wireless network, I am sure that you have more than one network device in your home which can benefit from connecting to your wireless network. You can connect your smartphones to the wireless network to share pictures and share files with your home computers. You can connect your gaming consoles such as Xbox 360, PlayStation 3 and Nintendo Wii to access the online gaming world. You can set up a wireless printer. You can connect your wired printer to a "print server" running Windows XP, Vista, Windows 7 and even Windows 8 and share it to all other computers on your network. You can connect a Network Attached Storage (NAS) which allows you to store and share files in a centralized location. There are a lot of benefits to having a wireless network. Just remember the more devices are on the wireless network then the slower your connection can get. For this reason it is a good idea to choose wisely which devices will connect with a wire and which ones will connect wirelessly. In my own home, I personally connect my PlayStation 3 with an Ethernet cable. This ensures that I get maximum speeds when playing online. I recommend that you buy yourself a wireless N router. This will give your home wireless network the strongest signal range and fastest speed. If you decide to use a wireless N router, remember that devices with anything other than a wireless N adapter will not have wireless N speeds. They should still be compatible with the router but the speed would be slower. Where do I place my wireless router in my home? 1.) Use a wireless N router and "N" wireless adapters to take advantage of the range and speed. 2.) Place the router at the central point of your home or office. This way there is an even wireless signal in all directions. 3.) Keep the router as far away from walls and metal objects. This can interfere with the wireless signal. Don't place your router on the floor. 4.) If you wireless signal is weak in any part of the house or office, then invest in a wireless repeater. 5.) Reduce the wireless signal interference. Microwave ovens and cordless phones can interfere with your home wireless signal. To help with this, try to use cordless phones and other electronics that use the 5.8 GHz or 900 MHz frequencies. When you have determined the correct location for your wireless router then you are ready to configure the router. In your home network, you need to decide what IP address scheme you will use. Here is a tutorial on What is an IP address? We will let the home router act as the DHCP server and this will allow every network device to grab an IP address. If you decide to use class A then you can use 10.0.0.1 for your router and allow the router to assign any IP from 10.0.0.2 - 10.255.255.255. Just remember that two IP addresses are always reserved, they are the network address, in this case 10.0.0.0 and the broadcast address which is 10.255.255.255. What if you wanted to use a class C address? Let's say you use 192.168.1.1 for your home router and when you use a class C address then you have254 IP addresses available to assign. The available addresses are 192.168.1.2 through 192.168.1.254. The network address would be 192.168.1.0 and the broadcast address would be 192.168.1.255. Just remember that the network address ends in 0 and the broadcast address ends in 255 or in other words the last IP address available on that address range. Prepare to configure the router! The home wireless router will run as the DHCP server. 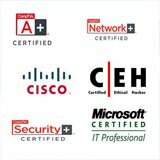 This means it will provide a unique IP address to every computer on your network. Before you configure the router, we need to make sure that your DSL or Cable modem has Internet access. Make sure that your computer's IP settings are set to Obtain an IP address automatically. 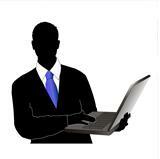 The wireless network setup will work with any of those operating systems. 1.) Connect an Ethernet cable from the DSL or Cable Modem's Internet port to your computers Ethernet jack. 2.) Open your Internet browser and go to any website. 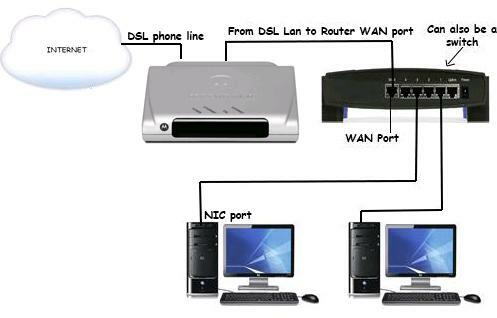 If you can reach various websites then your DSL or Cable modem has Internet. 3.) Connect an Ethernet cable from your DSL or Cable modem to the Internet port on the router's rear panel. 4.) 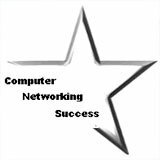 Connect an Ethernet cable from any 1-4 ports on the home wireless router to your computer's Ethernet port. 5.) You will now access the router's web interface to configure it for DHCP and Wireless encryption. Make sure the DSL or Cable modem is configured with "Bridge Mode" in order for the home router to work in the wireless network setup. 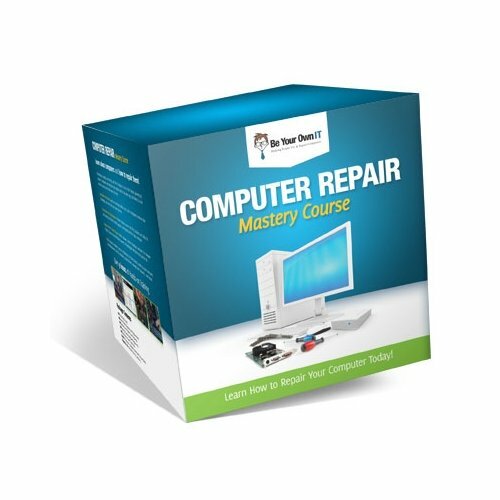 The next section will show you how to configure your home or business router.